These socks are sure to look adorable on any little sportster; boy or girl. They are made with 75% cotton, 20% nylon and 5% spandex. 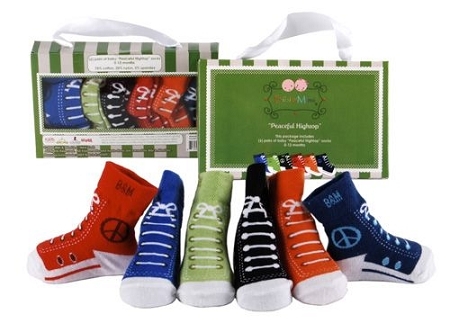 This gift comes with 6 pairs of socks and is packaged in a coloured box with a great design.